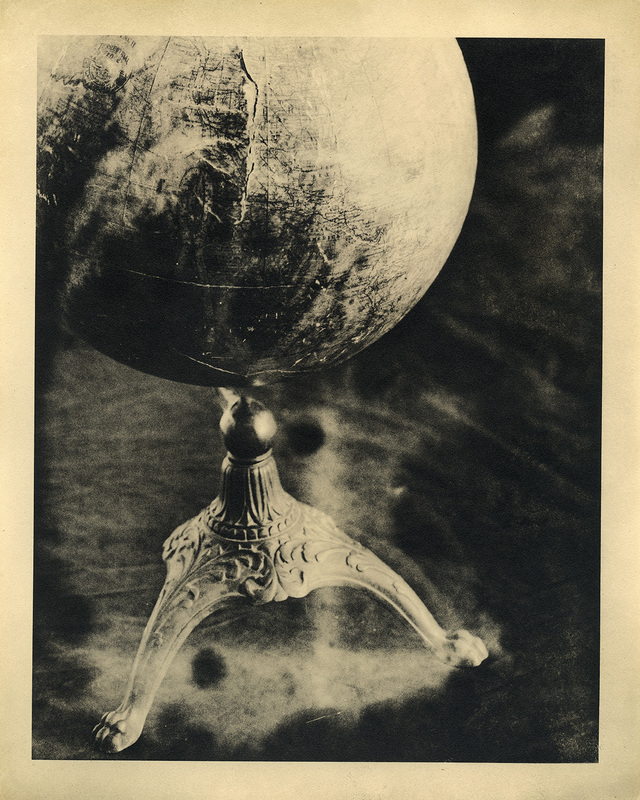 I photographed this c. 1930 globe with a 4×5 B&J Orbit camera loaded with Kodak Tri-X film that expired September 1963. I rated the film at 100 ISO and developed in HC-110 B for 7 minutes which resulted in sufficient density of the highlights and minimal base fog. Since my specialty is darkroom printing with long expired paper I lith printed this image on 8×10″ Defender brand “Velour Black” paper which expired in 1938 (same era as the globe)! The paper came in a in a badly deteriorated envelop which smelled like motor oil but I was able to coax an image out of it. I toned it briefly in Selenium to deepen the blacks.